Stomach contents of 729 fishes comprising 16 species were examined from the continental slope and rise off the Middle Atlantic States of the USA. 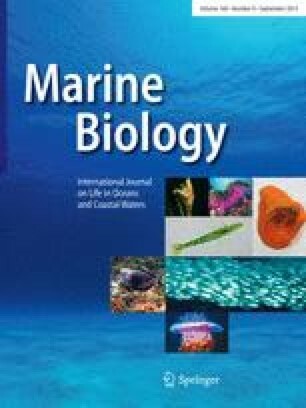 Two main feeding modes among demersal deep-sea fishes were evident: those feeding primarily on pelagic food items, and those feeding on benthic invertebrates. Both pelagic and benthic predators were euryphagous. Most pelagic predators also fed on the epibenthos. These findings support Dayton and Hessler's (1972) suggestion that benthic predators should have a generalized diet which may be responsible for the high diversity found in the deep-sea infauna. The mesopelagic fauna is an important food source for some demersal fishes on the continental slope. Pelagic prey, which are also important to ecologically dominant demersal fishes on the lower slope and continental rise, may be nutritionally supported by suspended particulate organic matter in a nepheloid layer close to the bottom, and they may exist in much higher concentrations than in the bathypelagic zone above. Virginia Institute of Marine Science Contribution No. 835.